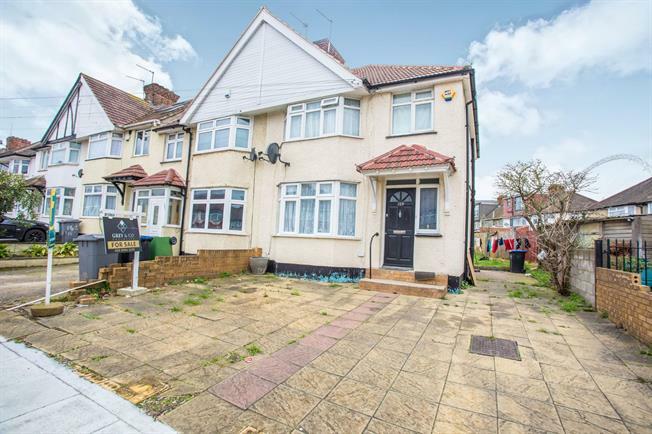 3 Bedroom Semi Detached House For Sale in Wembley for Asking Price £475,000. We are delighted to introduce to the market this fantastic family home. The property comprises of two good size reception rooms and kitchen on the ground floor, two double bedrooms, one single bedroom and a family bathroom on the first floor. Property benefits from garden and its own driveway. There is plenty of potential to extend rear and side STPP.